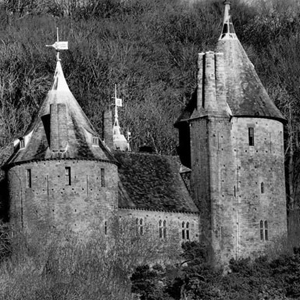 Haunted Wales carry out investigations at some of the best ghost hunting locations in the Wales. We visit the most haunted castles, pubs, inns, guest houses and hotels. With our team of experienced mediums, investigators and historians all professionals in the paranormal field and have many years of working with the paranormal. You will also be using all methods of communication to make contact with the ghosts and spirits. You will be using traditional methods including dowsing rods and crystals, Ouija boards, glass moving and table tipping. Also you will have a range of high tech equipment, such as EMF meters, temperature monitors and the famous ghost box. After you have the introduction from our team members you will be taken on a tour of the location. You will given an insight of the spirits and ghosts that reside in the location, you will also be given a brief background of the history of the building you are investigating. This will set you ready for when you are split in to smaller sized groups to carry out the various paranormal experiments. 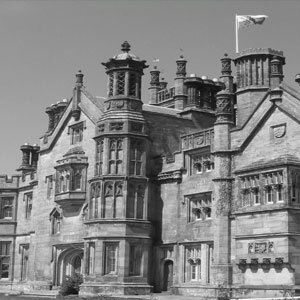 If you are looking for the ultimate ghost hunt event for Halloween, Christmas or a Birthday? We have a ghost hunt experience for you. If you are looking for that alternative gift, you could purchase one of our gift cards either online or by calling 0115 9720570. Our ghosting events start from as little as £35.00 per person. "Amazing night!!! I'm still getting over the shock of seeing the grey lady in that corridor - was shaking for ages after - apologies for freaking out I wanted to be such a cool ghosthunter but it was a truly unexpected experience and something I will never forget!!! thanks to all the team for a fantastic event!!!" "This was my fourth investigation and by far my favourite! Lots and lots of activity to think about and question...love it! Thanks everyone for a fab night!" "I would like to thank everyone involved with this great night. I have been on other events with different companies but this was by far the best organised and there were plenty of different things to try. The glass session was absolutely amazing. I was always a bit sceptical about it but having experienced it I am sceptical no longer. Jane the host for the evening was great fun and made the night special for everyone. 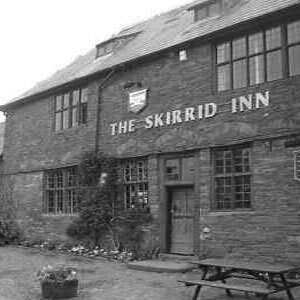 I will definately be seeing you all again soon"
"Just to say what a fantastic night we had at the Skirrid Inn. Thanks to the host for being brave enough to stand in between me and Carolyn when she was making a beeline for me during her trance. (I sure was scared!!) The walk around the Church yard was exciting and being touched on the back of my head by who knows what or who, made it even more hair raising. It was great to be part of the event and I look forward to the next one." "This was my first time ever attending a ghost hunt and I have to say omg it was an eye opener I just didn't know what to expect , I was frightened to say the least and to actually feel someone or somethings presence there was bad enough but when I was getting touched and feeling things that was indescribable , And everyone in the group was amazing so thank you again for making Steve and Myself's evening a most memorable one to say the least." HH & Spooky Nights Ltd.
Operating at over 150 of the UK's most haunted venues, HH & Spooky Nights have been pioneering paranormal events and leading the way. With a team of the UK's top psychics, mediums and paranormal investigators and taking you on the most thrilling ghost hunting experiences available!